EmuCasino is an Australia-friendly online gambling operator whose history dates back to 2012. The casino underwent a massive makeover in 2015 and today commands the attention with a user-friendly, colourful website which is home to over a thousand world-class titles, created by some of the world’s top software suppliers. We are talking about big names like Betsoft, Microgaming, Pragmatic Play, and iSoftBet, to mention just a few. The library of games is available for instant play and features hundreds upon hundreds of quality options but the focus seems to be shifted predominantly on video slots, or “pokies” as Australians refer to them. There are over 800 slot variations to pick from so there is a little something for reel fans of all persuasions. New filters were added to the revamped website to further players’ convenience. The gaming library is structured according to the games’ type and theme. There are numerous classic and advanced slots but undoubtedly the games that attract the highest level of interest are the ones with the progressive jackpots, with some of the most popular titles being Major Millions, Mega Moolah, Treasure Nile, and Lucky Leprechaun. EmuCasino may be geared towards the preferences of pokie fans but this does not mean it lacks in other options. On the contrary, it offers one of the most extensive selections of blackjack and roulette variations on the web, comprising over 40 variants of the two iconic table games. The casino offers a video poker collection of staggering proportions as there are over 60 variants of the strategy game. Some of the most popular options in the video poker category include Tens or Better, Jacks or Better, Deuces Wild, and Double Joker. In addition, one of the categories is reserved for live games that are broadcast from the Evolution Gaming studios. All games, the live-dealer ones included, can be played on both desktop and mobile devices since EmuCasino responds excellently on iOS and Android-based smartphones and tablets. Some players may argue the casino supports a slightly limited range of banking options but still, all the popular methods like cards and e-wallets are accepted. 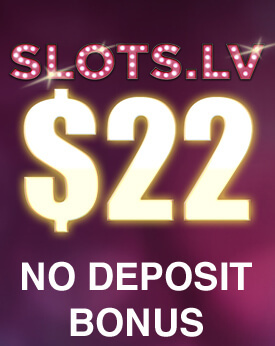 The casino runs various promotional incentives starting with a great No-Deposit Bonus consisting of 12 free spins to try some of the qualifying slots. The re-launch of the website saw the introduction of an improved six-tier loyalty scheme rewarding players with EmuPoints. On top of that, EmuCasino offers a laudable support service to its players. The live-chat agents are always ready and willing to help out – all you have to do is just ask. Online Since EmuCasino was launched in 2012 by Season Ever Limited. The website underwent a major makeover and was relaunched in 2015. Minimum Deposit/Withdrawal The minimum deposit amount at EmuCasino is $10. Players can withdraw as little as $20 per transaction. 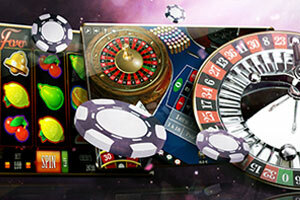 No-Deposit Bonus New registering players from Australia and New Zealand can claim 12 Free Spins simply for signing up. The maximum bet per free spin is capped at $0.25 while the maximum amount in winnings you can withdraw is limited to $15. The turnover is 25x the winnings’ amount. 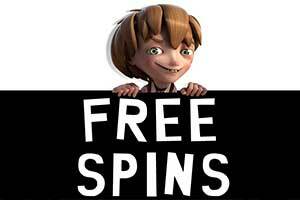 The free spins must be used within a period of 24 hours. 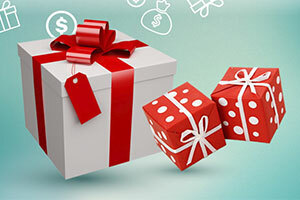 Welcome Bonus New players of legal gambling age can claim a 100% First-Deposit Bonus of up to $100. Second deposits are matched at 50% with up to $100. Third deposits are matched at 80% up to $100 in free credits. The bonuses expire 3 days after their activation and come with a turnover of 40x their amount. Please note that the bonus conditions may differ depending on which country you have registered from. Players from some jurisdictions have to meet a playthrough of 45x the bonus amount. The maximum bet size with an active welcome bonus is restricted to $15. Regular Bonuses Current account holders at EmuCasino benefit from reload bonuses upon subsequent deposits. Birthday girls or boys are treated to special giveaways but have to contact the support team 3 days prior their birthday. The “gift” consists either of free spins or free casino credits to play with. 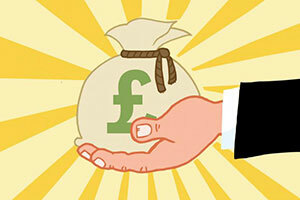 There is also a referral bonus – you get 3,000 EmuPoints for each friend you refer. Loyalty Programme EmuCasino runs a six-tier loyalty scheme where members collect EmuPoints for every real-money bet they make. Members also benefit from exclusive bonus offers, invitations to different events, decreased transaction fees, and personalised support service. 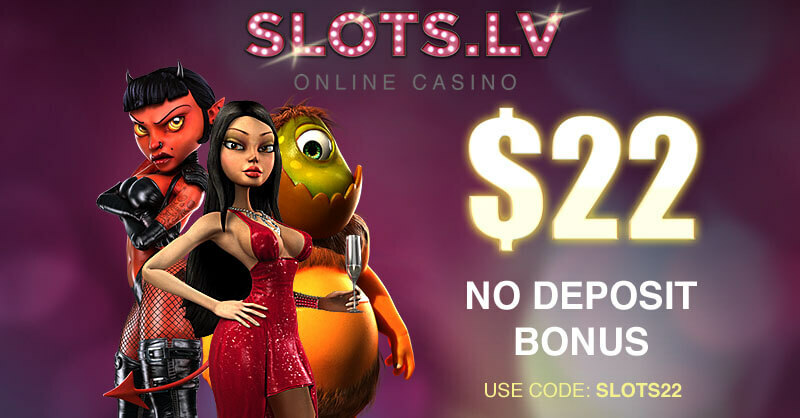 The points can be exchanged for deposit bonuses but players can also claim up to $2,500 in cash. Every $100 staked on the slots or scratchcards earns you 14 points whereas the same amount wagered on the table games rewards players with 1 point. Newbies who start at the lowest tier are rewarded with 9 EmuPoints per every $100 they stake at the casino. Software EmuCasino utilises software by multiple providers, including Betsoft, Microgaming, Pragmatic Play, IGT, 1×2 Gaming, Playson, GameArt, iSoftBet, and Oryx. The games are available in flash and mobile format. Popular Jackpots Some of the biggest jackpots at EmuCasino can be won on Mega Moolah Isis, Major Millions, Basic Instinct, Treasure Nile, King Cashalot, Tunzamunni, and Lucky Leprechaun. Game Types EmuCasino offers over 800 classic and advanced slots, 25 blackjack variants, 19 games of roulette, over 60 video poker variations, and several dozens of scratchcards. Live dealer games, baccarat, Keno, craps, Sic Bo, and bingo are also available. Live Casino The live-dealer section features games like Three Card Poker, Caribbean Stud Poker, Baccarat, Casino Hold’em, European Roulette, Blackjack, and the wheel-based game Dream Catcher. Mobile Casino The gambling operator supports both desktop and mobile play. The mobile casino is also in instant-play format and can be accessed on most iOS and Android-based smartphones and tablets. Deposit Methods Customers at EmuCasino can load money into their accounts via Visa, MasterCard, Maestro, Neosurf, Instant Banking by Citadel, Bitcoin, Paysafecard, Neteller, and Skrill. Currencies EmuCasino works with USD, AUD, EUR, CAD, NZD, SEK, GBP, and NOK. Languages The casino’s website can be loaded in English and Swedish. Support Support can be contacted via live chat or by filling in the email form, available at the website. The support team is at the disposal of customers around the clock. Loyal customers can send out queries at vip@emugroup.com. There are three telephone lines (+44) 020 3411 9737 for the UK, (+61) 02 9119 2932 for Australia, and (+64) 09 951 5843 for New Zealand. Licences EmuCasino is licensed and regulated by the Curacao eGaming Authority. EmuCasino ranks among the most well-liked virtual casinos that are preferred by a large number of players for their adventure in the iGaming world. The casino operator strives to provide its numerous customers with a second-to-none gambling experience which becomes evident from its gaming collection. EmuCasino has collaborated with some of the leading software suppliers such as Microgaming, Betsoft, iSoftBet, Pragmatic Play, GameArt, and Oryx Gaming in order to make sure that all types of players will enjoy their stay at the casino to the fullest. As it turns out, versatility is of major importance for this casino operator as it provides its customers with more than 800 casino games that feature high-end quality. Gambling enthusiasts will be kept entertained for hours on end as they will find titles from some of the most popular genres. In other words, at EmuCasino there is something for every player, irrespective of his/her preferences. 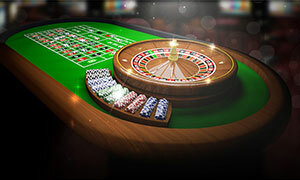 Even though the casino is focused predominantly on slots or pokies as the game is also known, there are also numerous roulette and blackjack variations, live-dealer games, several video poker variants, baccarat, as well as numerous jackpot games which means that players are offered all they need for an unequaled gambling experience. Players who have opened an account at EmuCasino can choose between several options to access its software. 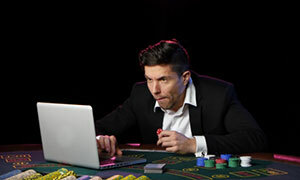 Gambling enthusiasts are enabled to enjoy their preferred casino games on their personal computers or directly via their browsers. Still, if you want to have the freedom to place your real-money bets even when you are on the move, then, you need to know that the gambling operator also offers a mobile version of the interactive casino. Still, you need to know that your choice will be slightly limited as you will have the chance to choose only between 180 mobile games. As previously stated, EmuCasino provides its customers with an impressive number of slot titles that are capable of enticing all gambling enthusiasts, no matter of their preferences and taste. The casino operator knows how to please its numerous customers who are fond of spinning the reels as the variety of the themes is really impressive. There are games inspired by legends, fairy tales, and movies. The casino operator strives to satisfy the demands of all its patrons as it offers numerous classic 3-reel slots such as FruitZen, Classic Fruit, and Fruity 3×3 that are inspired by the traditional fruit machines. Still, if you prefer something more modern and advanced, you need to know that there is also plenty of video slots as well as 3D slots. Such games will definitely command your attention as their graphics are really exquisite which will greatly influence your online betting. In addition to this, such games will definitely grab your attention with their brilliant payouts as they come with numerous bonus games as well as with additional features that give you the chance to further increase your profit. While going through EmuCasino’s portfolio, players will find titles such as Hot Safari, Three Kings, Rambo, Gold of Ra, Treasure Island, Jurassic Giants, and Al Capone that have turned into real fan-favourites. No matter which of the titles you will go for, you can be sure that your gambling experience will be unparalleled. Gambling enthusiasts who are intrigued by roulette will also find their cup of tea at EmuCasino as the casino operator has prepared something for them as well. 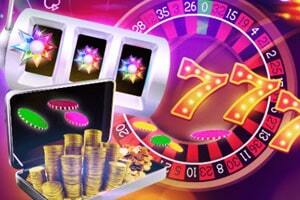 Undoubtedly, roulette has become one of the flagships of both land-based and virtual casinos. Players who have decided to join EmuCasino are offered numerous roulette variants that will meet the demands of both seasoned players and casino novices. 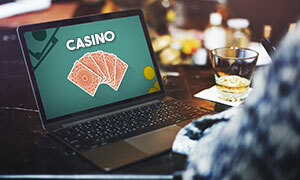 The casino operator gives its numerous customers the chance to experience some of the most common roulette variants that include European and French Roulette. Of course, there is something for fans of American Roulette as well. All of the titles in this category will impress you with their extremely user-friendly interface as well as with their high-end graphics that will make you immerse yourself in the gameplay to such an extent that you will get the feeling that you are placing your bets in a brick-and-mortar casino. What will also greatly contribute to the second-to-none gambling experience is that most roulette games in this category come with really diverse betting options. Still, if you are an inexperienced player and you do not feel comfortable enough with the game, you can also take advantage of the practice mode that will give you the chance to test your skills prior to risking your funds. EmuCasino is among the gambling destinations in which the preferences of the different types of players are recognised. In this relation, the casino operator strives to cover as many of the game genres as possible. Perhaps, many gamblers will be happy to hear that in the virtual casino, one of the major categories is devoted to blackjack which remains one of the most well-liked casino offerings. Gambling enthusiasts who have joined the casino are provided with a wide range of options so that they could find the game that best fits their taste. 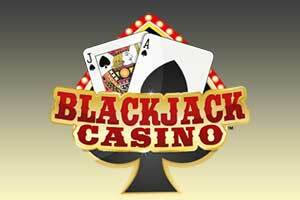 All the blackjack variants that are on offer at the casino will undoubtedly grab your attention with their impeccable graphics as well as with classy design that will provide you with the desired authentic gambling experience. This comes hardly as a surprise considering the fact that the casino operator has used the services of some of the leading software suppliers. Virtual players are enabled to enjoy a wide array of variants of the ever popular casino game as long as they open an account at the casino. More experienced players who want to test their skills can feel free to give a try the multi-hand games that are quite challenging. Still, some of the most popular blackjack variants that can be found at EmuCasino remain Pontoon, Blackjack Bonus, and American Blackjack. What is even better about the games that can be found in this category is that they feature wide betting options and give gamblers from all calibers the chance to enjoy their preferred titles. In other words, the casino operator has something for both high rollers as well as for players who prefer placing lower bets. Video poker remains one of the most enticing casino games that attract the attention of both seasoned players and casino novices. In fact, video poker is among the casino offerings that give players the chance to influence the course of the game as long as they know all its basics and apply a good strategy. If you are fond of playing video poker, perhaps, you will be delighted to find out that EmuCasino offers numerous such games to choose from. Gambling enthusiasts who have joined the casino are given the opportunity to enjoy several variants of the game that can bring them decent prizes. Patrons of the casino can play the classic Jacks or Better or Deuces Wild that are preferred by a large number of the players. Gambling enthusiasts who want to enjoy a more profitable betting session can go for some of the bonus paying games such as Double Double Bonus Poker or Aces and Eights. One of the bonus features many players will appreciate is the Double Up feature. It should be noted that all the games that can be found in this category can be accessed both via your personal computer or via your portable device. It is all up to you to decide which of the options is more suitable for you. Gambling enthusiasts who have opened an account at EmuCasino can also choose between a wealth of games that feature progressive jackpots. Such titles are real fan-favourites due to the fact that they give players the opportunity to get some hefty prizes while they enjoy their preferred casino offerings. The prize pools of such games increase so quickly due to the fact that each time a player places a bet on them a certain part of their bets is added to the amount of the jackpot. If you are among the players who are on the lookout for a life-changing prize, EmuCasino is the perfect gambling destination for you as the casino operator has prepared numerous such gaming options. Undoubtedly, some of the titles that will grab your attention right away are Major Millions, Mega Moolah, and Cash Splash as they have changed the lives of many lucky players by bringing them massive prizes. Of course, players’ choice is not limited solely to these games as they are also offered titles such as Jackpot Rango, Rambo, Bewitched, Diamond Wild, Neon Reels, Kobushi, and numerous others. Still, players should not forget that they will have the chance to hit the whole amount of the progressive jackpot as long as they play the maximum bet as otherwise, they will collect only a certain portion of the jackpot. The casino operator knows how to please all its customers, including those who are fond of playing live-dealer games. Such games are the perfect alternative for gambling enthusiasts who want to get the thrill of placing their bets in a brick-and-mortar casino while they are wagering over the Internet. 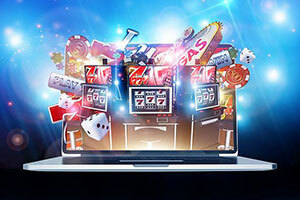 Such games are streamed from special live studios that are decorated with great attention to details so that players could get the desired life-like gambling experience. EmuCasino is definitely among the virtual casinos that provide their customers with plenty of options to choose from as players who prefer live-dealer games are offered live blackjack, roulette, and baccarat. Still, players’ choice is not limited solely to these casino games as there are also live Caribbean Stud Poker, Three Card Poker, and Casino Hold’em that will all provide you with the ultimate gambling experience. Players should not forget that they need to have an account at the casino if they want to make use of these games. In addition to this, these titles can be played in a real-money mode only, unlike the other games that are on offer at EmuCasino that can be accessed in a play-mode as well. Do I have to download additional software to play the casino games? No, there is no need to install any software on your desktop computer to load the games. The entire portfolio of EmuCasino is available in instant play, which is to say customers can load the games safely through their internet browsers. All popular browsers are supported but make sure you update to the latest version of yours to prevent glitches and other issues. Yes, EmuCasino is a legitimate online gambling destination as it operates under the strict guidelines of conduct of the Curacao eGaming Authority. This surely is a good sign considering Curacao is considered one of the first jurisdictions in the world to start issuing licences for interactive gambling. In fact, Curacao has been regulating online casinos since the year 1996. EmuCasino has published its licence number on its website so that its customers can have their peace of mind. Can I try the games before I place a real-money bet? The answer to this question is again positive since EmuCasino gives players the opportunity to test most of the games by playing with “fun” money. This enables casino rookies to master the rules, become acquainted with the interface, and choose the titles that best fit their preferences. What is more important, you do not have to register an account to test the portfolio. Can I play if I am currently in a country that is the different from the one I have registered from? This is an interesting question that is probably on the minds of casino fans who travel a lot but the good news is the answer is again affirmative. If you try accessing your account from a country that differs from the one you have registered from, you will initially get locked out. But do not worry, all you have to do is get in touch with the customer support representatives responsible for the country you are travelling in and they will quickly unlock your account for you, i.e. if the said jurisdiction is supported by EmuCasino. On that note, it is worth mentioning the operator does not accept registrations from some countries, including Belgium, Denmark, France, Hungary, the United States, Italy, Spain, Singapore, Korea, and Israel.